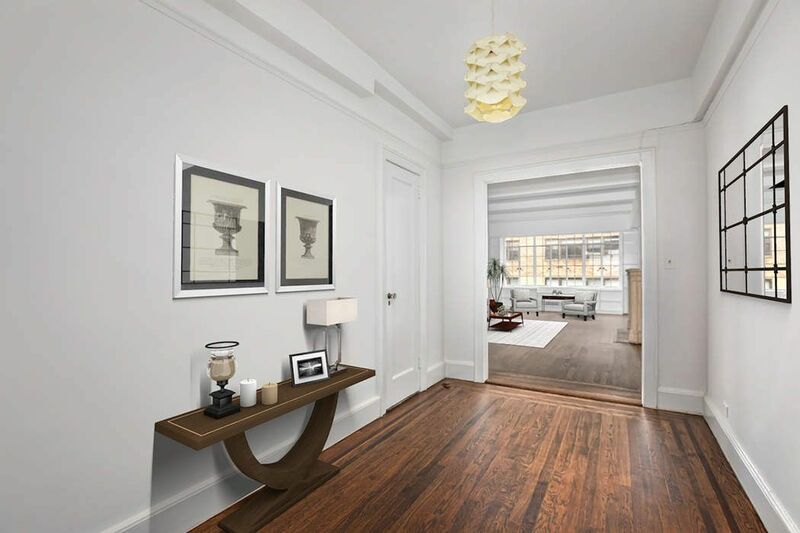 40-50 East 10th Street Apt 8L, New York, NY 10003 | Sotheby's International Realty, Inc.
A rare opportunity exists to acquire a large prewar 1 bedroom 1.5 bath residence in one of Greenwich Village’s premier addresses – 40-50 East 10th Street. Perched on the 8th floor of a ten-story building this home faces south and east and gets wonderful sunlight all day. There is a gracious foyer upon entry that can serve as a home office or small library. The living room is massive measuring over 15’ by 25’ 7” and easily accommodates both living, dining and entertaining on a grand scale. High beamed ceilings and beautiful hardwood oak floors add all the character one expects a home of this vintage. A wood-burning fireplace with sandstone mantel completes the picture. 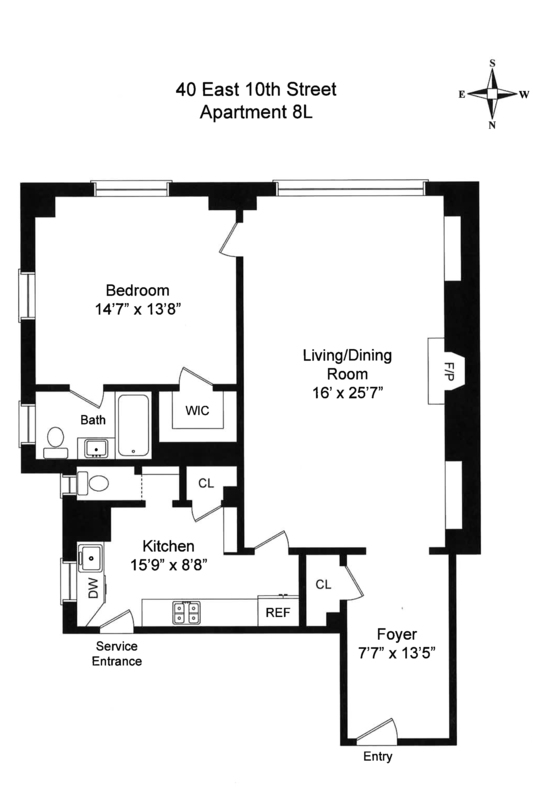 The corner bedroom faces south and east and has an en-suite bath. The rather large windowed kitchen is waiting your personal touch to bring to a modern standard. 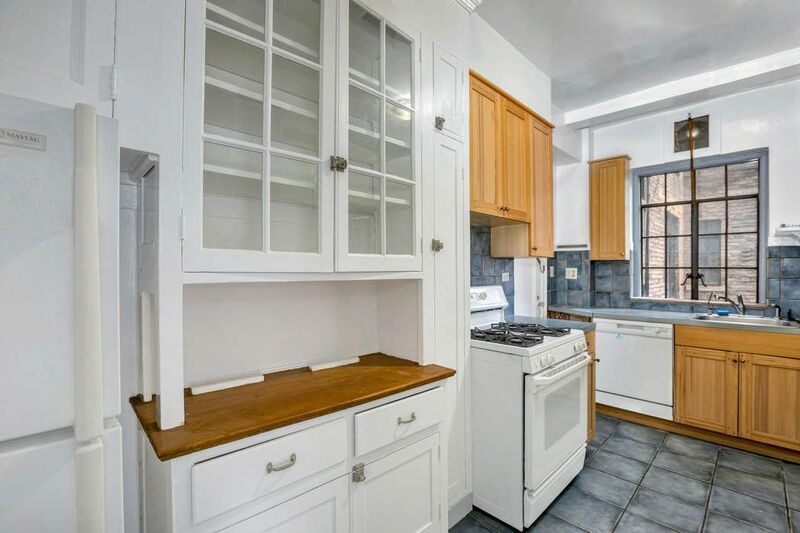 There is a half bath to the side as well. 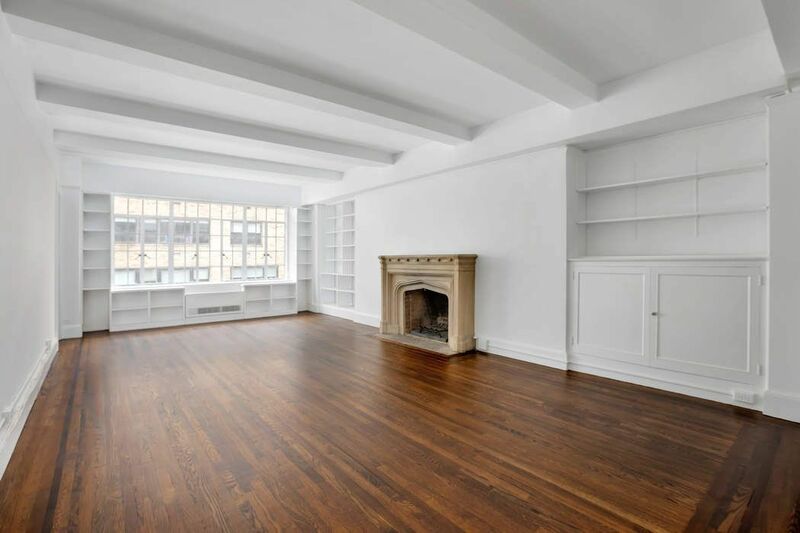 This residence has ample closet space too. Each room has a window to the outdoors. 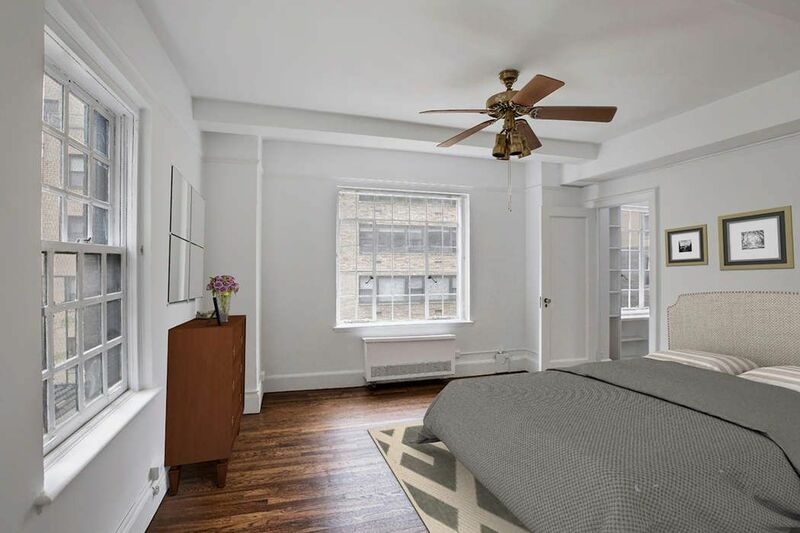 40-50 East 10th Street was built in 1929 and offers a full time doorman, live-in superintendent, laundry room, fitness room, children’s playroom, storage room (subject to availability), and bike room (subject to availability). On the roof owners enjoy one of the most beautifully landscaped roof gardens in the Village in addition to a landscaped garden at lobby level behind the building. The lobby and hallways have been beautifully renovated. 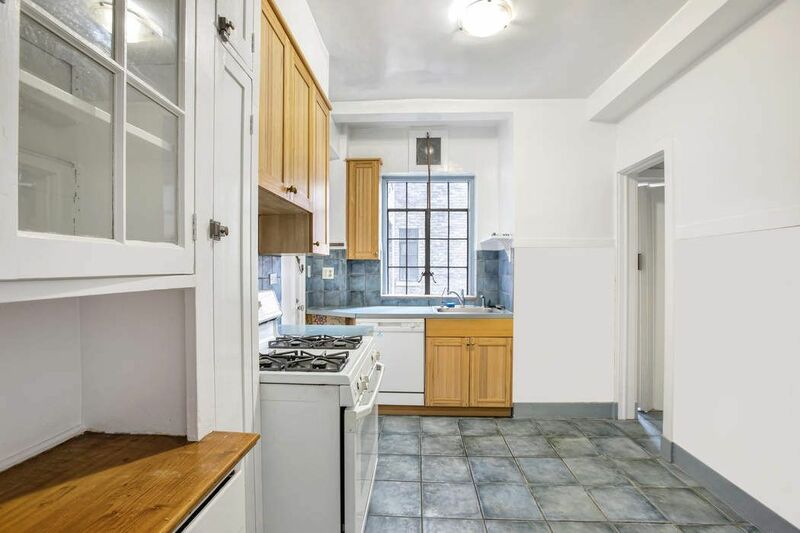 Located on East 10th Street between University Place and Broadway this cooperative enjoys access to local transportation, some of the citys best restaurants, gallery shopping, and Washington Square. 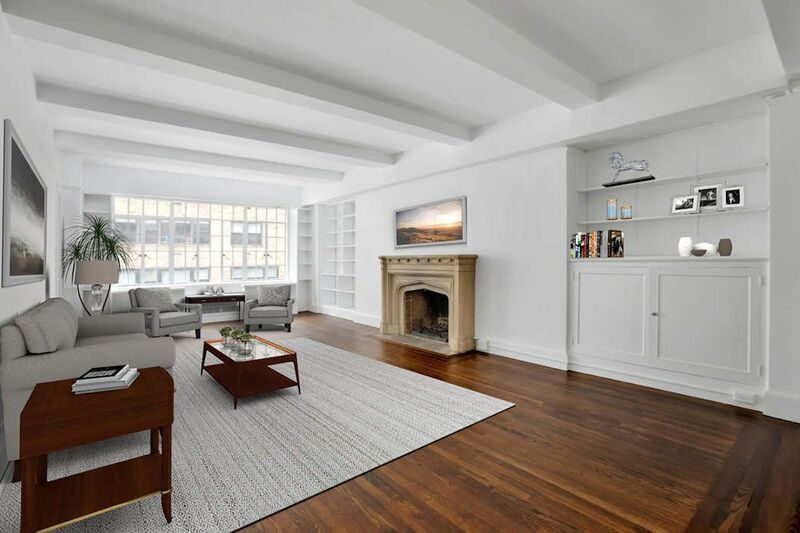 A rare opportunity exists to acquire a large prewar 1 bedroom 1.5 bath residence in one of Greenwich Village’s premier addresses – 40-50 East 10th Street. Perched on the 8th floor of a ten-story building this home faces south and east and gets wonderful sunlight all day. There is a gracious foyer upon entry that can serve as a home office or small library. The living room is massive measuring over 15’ by 25’ 7” and easily accommodates both living, dining and entertaining on a grand scale. High beamed ceilings and beautiful hardwood oak floors add all the character one expects a home of this vintage. A wood-burning fireplace with sandstone mantel completes the picture. The corner bedroom faces south and east and has an en-suite bath. The rather large windowed kitchen is waiting your personal touch to bring to a modern standard. 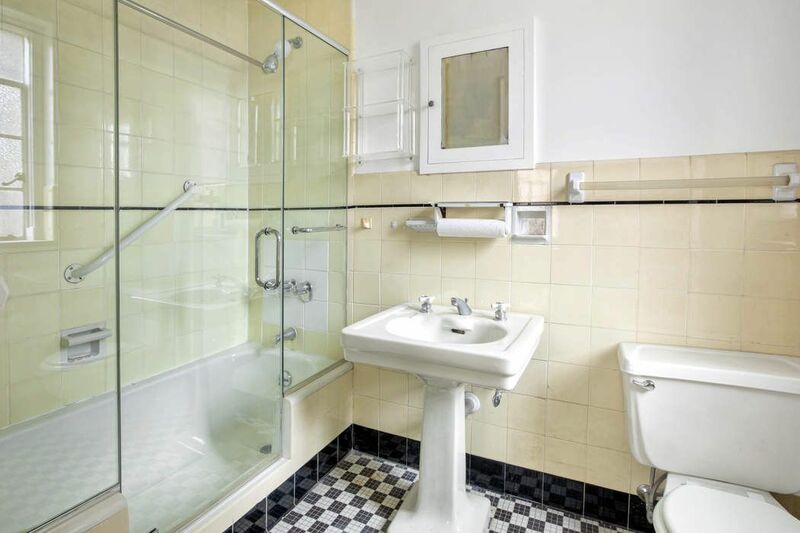 There is a half bath to the side as well. This residence has ample closet space too. Each room has a window to the outdoors. 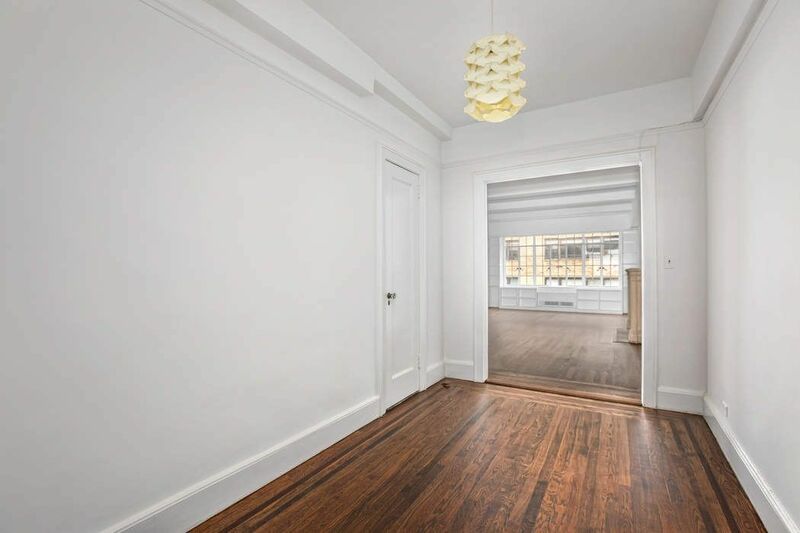 40-50 East 10th Street was built in 1929 and offers a full time doorman, live-in superintendent, laundry room, fitness room, children’s playroom, storage room (subject to availability), and bike room (subject to availability). On the roof owners enjoy one of the most beautifully landscaped roof gardens in the Village in addition to a landscaped garden at lobby level behind the building. The lobby and hallways have been beautifully renovated. 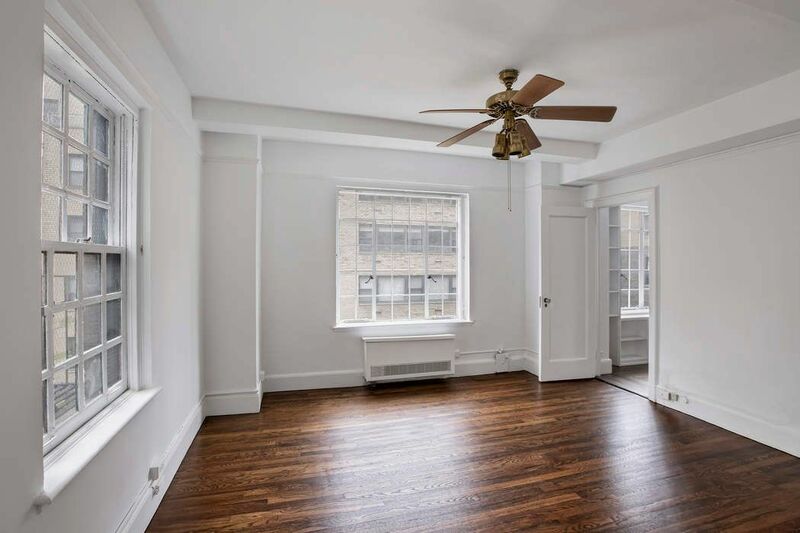 Located on East 10th Street between University Place and Broadway this cooperative enjoys access to local transportation, some of the citys best restaurants, gallery shopping, and Washington Square.